This sweet little 1.3" OLED allows you to easily add a debugging or data display to your microcontroller project. As long as you MCU talks I2C you will be fine. The little guy has a resolution of 128x64 blue pixels on black background and is with it's low power consumption also perfect for battery powered and/or mobile applications. 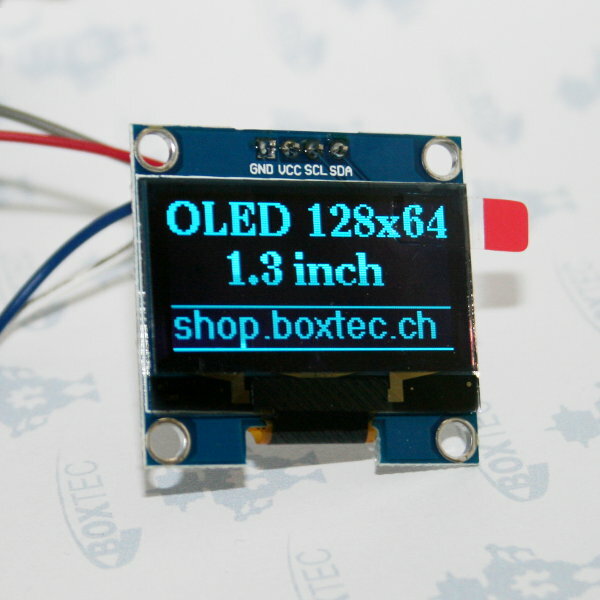 Notify me when this item is restocked OLED I2C Display 128x64 - 1.3"